Just four years after Naveen Tewari founded InMobi, the Bangalore-based company has become the world’s second-largest mobile advertising network after Google, according to CrunchBase, a database of technology companies. It delivers ads to 315 million mobile phone users in more than 140 countries. In this interview with India Knowledge@Wharton, Tewari discusses how starting InMobi in emerging markets in the East enabled the company to capture large market shares and facilitated its progress to the more developed markets of the West. India Knowledge@Wharton: Take me back to 2007. What was happening then and how did all this get started? Naveen Tewari: In 2007, I was living in San Francisco. I came out of business school and I was very keen on doing something with a small company. I felt that the market in general in mobile phones was just going to explode. It [was] just going to go through the roof across the world. And given that we were starting out, we felt that we might try and do something only in India. So we started the business in India and tried to build something that we felt would take off in the Indian market. But we soon realized that it was not something that we needed to constrain to the Indian market and we could expand this outside. And that’s what we did. [After] raising some capital, we started to move outside of one market. We went first to the developing markets because that’s a large population, fairly untapped, and something that we could go after ourselves. And then we moved to the more developed markets. Today, we are in over 140 markets. We show ads to about 315 million people. We expect that over the next 12 months, we’ll be reaching about a billion people across the globe…. We have been able to create an infrastructure and we are in the process of doing [more of] that as we go along — creating infrastructure for new business models on the mobile-Internet platform across the world. Different countries in different regions are going to utilize it differently. That’s what excites us, because over the next few years, about 3.5 to 4 billion people will be using mobile Internet from their phones. And if that’s the population that’s going to use mobile Internet, the potential is quite high. India Knowledge@Wharton: You said you started in developing markets because a mobile phone is often their primary electronic device? Tewari: There were two arguments for why we started in developing markets. One was the macro, which is exactly what you said. There are about a billion people in China, a billion people in India, a billion people in Africa and another billion in the rest of those regions. So you’re talking about a 4 billion population that will have the mobile phone as their first screen, and in the majority of cases, as the only screen. If that’s the case, and if we have a significant share of that market, we will build a large business. The second was that competition in that market was just non-existent. We could have tried and gotten into the U.S. market, but there was more competition…. A classical growth strategy is to go West and then move East. We said we’re going to reverse that. We went East and we have now moved to the West. India Knowledge@Wharton: Did the landline infrastructure of these countries make a difference as well? Tewari: It does because they don’t have landline infrastructure, and that’s the beauty of it. Because they don’t have landline infrastructure, they move very quickly to mobile infrastructure. They don’t have PC infrastructure, [so] they move to mobile infrastructure. For example, they don’t have GPRS [general packet radio service] and slow-speed data connections; they moved directly to 3G infrastructure. These things help because that means that adoption rates are phenomenally high in these regions. You capture the market very quickly. And the market becomes large very quickly. The other thing is that digital advertising does not exist in these regions. It’s very small because the number of people [who own] PCs is small. So what happens is that as mobile phone users and Internet users increase, dollars start to move from traditional media to digital media. That creates a very strong opportunity in the [mobile] market. India Knowledge@Wharton: And now you’re in the U.S. You began here last year. How has that been going? Tewari: That’s been going phenomenally well. Over the past three years, the U.S. market has gone through a consolidation phase. The total number of players at one time was about 15 to 20. Because of the consolidation, because of the downturn, that list … is down to a handful. When we looked at it, we saw that two things had happened. One, the total number of competitors had come down, so there was an opportunity for us. Second, the phenomenon — the whole mobile-Internet phenomenon — was very global. There are publishers in the U.S. market who have anywhere from 50%-plus of their business now starting to come from global markets, where we are already working very strongly. So it was an easier entry for us into this market. We utilized that as a lever to get into this market. And we have seen phenomenal growth. I think we’re either the third or the fourth largest in the [U.S] market today, with very significant scale. We feel very excited about where we can take this over the next six to 12 months. India Knowledge@Wharton: So you had that global knowledge? Tewari: Right. I think it doesn’t happen in many businesses. In most businesses, the U.S. [operation] acts as leverage in other markets. But for us, the international markets acted as a strong lever to build our business in the U.S. market. India Knowledge@Wharton: How is mobile advertising different from other forms of digital media? 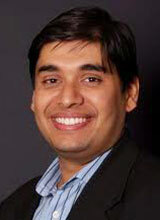 Tewari: Between PC Internet advertising and mobile advertising, there are some key differences. One, the ability to target is phenomenally high in the mobile space because the information … that one has about the kinds of things that you’re doing on the phone is better. So we can [better target advertising] and utilize that. The location becomes a very strong factor and the location continues to change for a user. With a PC, the location is more static. But in the case of the mobile, location as a parameter for targeting is more dynamic. The call-to-actions that one can generate out of mobile phone advertising are many. At the end of the ad, you can actually have the person call somebody. You can have somebody download something on their phone, because they carry their phone wherever they go. If you are doing some kind of couponing, you can [send] the coupon on the phone and then they can use it when they’re at the point of sale. So the targeting, the scale, the ability to do call-to-actions is drastically different when it comes to mobile phones. And that’s why it’s a very strong medium. And the scale is a phenomenal factor because whether it is the U.S. or the rest of the world, the scale of mobile Internet is significantly higher. Maybe not so in the U.S. right now, but it’s getting there very soon. India Knowledge@Wharton: What’s your outlook for the future? Tewari: We look at the whole space as roughly about 4 billion people using mobile Internet across the world. When that happens, it’ll be the largest medium ever. I think it’ll be the largest medium after air and water. And if that’s the case, and if we are able to build a strong platform [and provide] the infrastructure for people to do things on it, it’s a very, very promising future that we’re looking at.